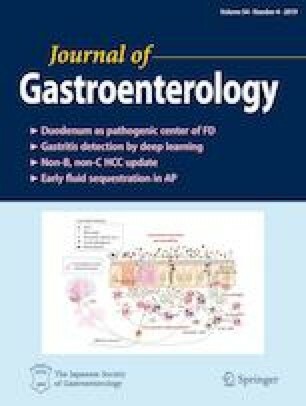 Endoscopic mucosal healing is considered as the best therapeutic target in Crohn’s disease (CD) as it is associated with better long-term outcomes. We investigated whether bowel wall healing (BWH) assessed using magnetic resonance imaging (MRI) could predict favorable outcomes and could be a potential therapeutic target. We performed a post hoc analysis from two prospective studies (n = 174 patients). All the patients with previous objective signs of bowel inflammation and assessed by MRI for therapeutic efficacy had a standardized and blinded evaluation, and underwent MRI. Complete BWH was defined as no segmental MaRIA > 7 or no segmental Clermont score > 8.4 and BWH as no segmental MaRIA > 11 or no segmental Clermont score > 12.5. Clinical corticosteroid-free remission (CFREM) was defined as no reappearance or worsening of clinical manifestation leading to therapeutic modification, hospitalization or CD-related surgery. Multivariate analyses were performed including all the relevant parameters. Overall, 63 patients with CD were included (mean follow-up = 4.8 ± 3.1 semesters). In multivariate analysis (n = 303 semesters), complete BWH or BWH was associated with sustained CFREM according to MaRIA [OR = 4.42 (2.29–26.54); p = 0.042 and OR = 3.43 (1.02–27.02); p = 0.047, respectively] or Clermont score [OR = 3.09 (1.01–12.91); p = 0.049 and OR = 3.88 (1.40–13.80); p = 0.036, respectively]. In multivariate analysis (n = 63 patients), complete BWH or BWH was associated with decreased risk of surgery using MaRIA [HR = 0.16 (0.043–0.63); p = 0.008 and HR = 0.24 (0.07–0.77); p = 0.017, respectively] or Clermont score [HR = 0.24 (0.07–0.78); p = 0.016 and HR = 0.23 (0.07–0.76); p = 0.016, respectively]. MRI endpoints are predictive of favorable outcomes after medical therapy and could be used as therapeutic target in daily practice and clinical trials. The online version of this article ( https://doi.org/10.1007/s00535-018-1505-8) contains supplementary material, which is available to authorized users. Guarantor of the article: AB. Specific author contributions: AB: study concept and design; acquisition of data; analysis and interpretation of data; drafting of the manuscript; and study supervision. CH: study concept and design; acquisition of radiologic data; analysis and interpretation of data; critical revision of the manuscript for important intellectual content. FG: acquisition of data; critical revision of the manuscript for important intellectual content. CA: acquisition of data; critical revision of the manuscript for important intellectual content. MG: study concept and design; acquisition of data; critical revision of the manuscript for important intellectual content; administrative, technical, and material support. MR: acquisition of data; critical revision of the manuscript for important intellectual content. BP: study concept and design; analysis and interpretation of data; critical revision of the manuscript for important intellectual content; statistical analysis. GB: study concept and design; acquisition of data; analysis and interpretation of data; critical revision of the manuscript for important intellectual content. All authors approved the final version of the manuscript.